– employers love hiring SAIPA members! Did you know that CEOs of some of the biggest companies in SA are SAIPA members and hold the designation of Professional Accountant (SA)? This might come as a surprise to you, but there are lots of different types of accountants. Each area in the accountancy field has its own designation, and specialises in its own set of skills, but most share the same basic qualification: an accounting degree. Only after you’ve earned your qualification from your university can you apply with one of several professional bodies to earn your professional designation, like a Professional Accountant (SA). Each professional body has its own requirements that you will need to comply with. 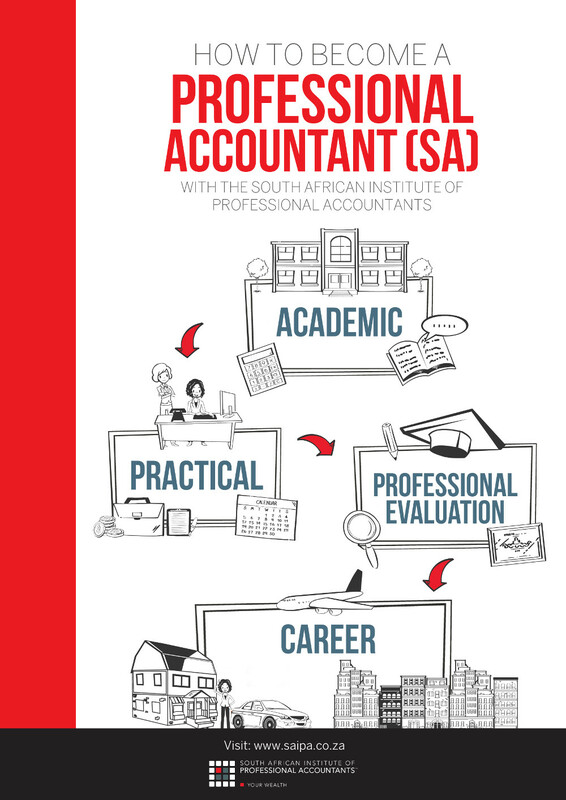 At SAIPA, we promise to help our student members as much as possible in the time they will take to earn the Professional Accountant (SA) and in doing so becoming full SAIPA members. I understand that I can only be a SAIPA student member for two years. Thereafter, standard membership fees, terms and conditions will apply.